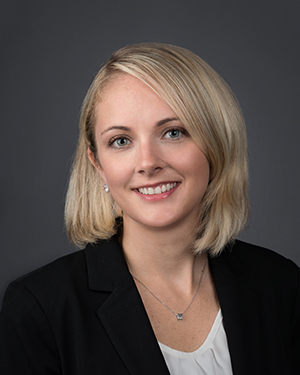 Megan McNamara grew up in metro Detroit, graduated from Western Michigan University and holds a master’s degree in Human Resources Development. Megan joined ASG in 2014 and is now working as a Banking and Financial Services Search Consultant. Fueled by her robust knowledge of the banking industry, Megan has built strong, loyal relationships with her clients and candidates. Her main focus is attracting and searching passive and high potential-candidates for positions based on the precise needs, long-term goals and company culture of the client. Before joining ASG, Megan worked in various industries, assisting senior managers, vice presidents and directors with their human resources needs. Using a collaborative approach, she led and supported recruiting, training and employee relations programs for various corporations. She attributes her success to being approachable, forward-thinking and having the perseverance to overcome any and all challenges. Megan takes her inspiration from women who can do it all – have a great career, stellar family relationships and a sense of peace and contentment in their lives. She strives to attain this level of satisfaction in her life as a wife and a mother of three very active young boys. In her spare time, Megan loves wandering antique shops in search of fabulous old furniture that she can strip down and refinish – she’s always on the lookout for the next great find. She also enjoys taking her boys to museums, the zoo, the park or off to the family lake house. Megan insists that someday she will take her family to visit Hawaii (Aloha Megan).